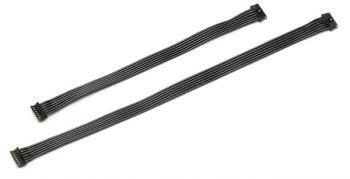 Posted in: JConcepts, Pro-line, Radio Control, Serpent, Tamiya, Team Associated, Tekin. 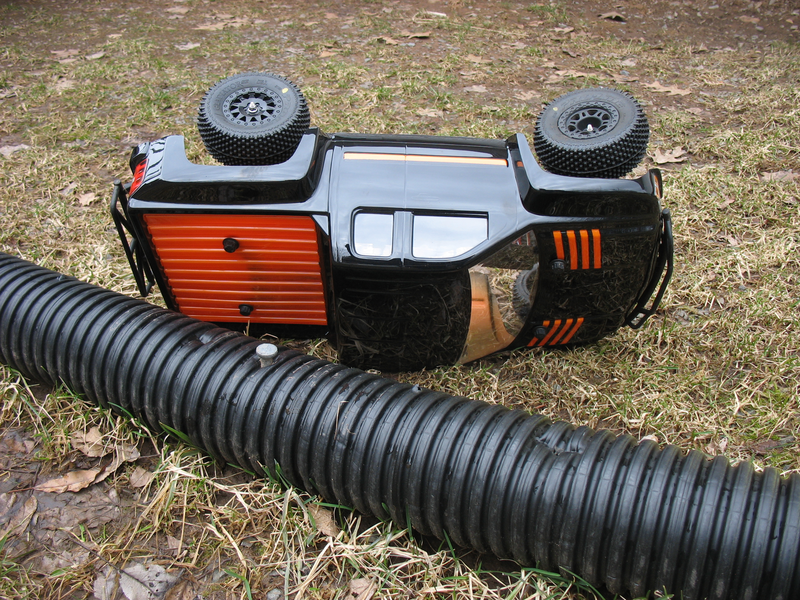 Tagged: Accessories, Miscellaneous, New Releases, Racing, RC, Upgrades. Each week the RC industry is busy making or breaking news and releasing so many different products in a effort to keep the hobby fresh and new. I believe that it is a full court press to drive my wife insane. How may times have I bought something to see an upgraded or better version released in the following weeks, don’t tell me she doesn’t suffer. One More Lap is a brief recap of some of the RC related happenings from this past week, that we didn’t feature for one reason or another. Lets take One More Lap and try and do a better job of hitting our marks. 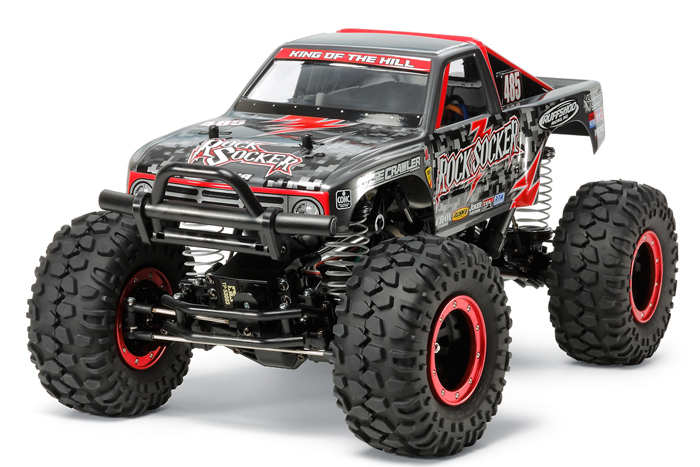 Tamiya CR-01 gets an update: Introducing the Rock Socker. Posted in: Radio Control, Tekin. Tagged: Racing, RC. Have you ever wanted to be a World Champion? 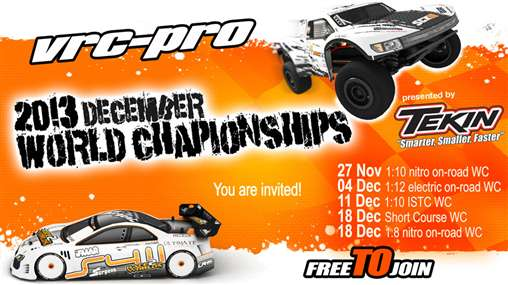 Well here is your chance, VRC-Pro is hosting the largest RC event in the world, the online 2013 World Championships which is sponsored by Tekin will be held in the month of December. There are 5 different events and they are absolutely FREE during each event plus a full week prior to the event for practice. * New track released for the Worlds, FREE during event! How to join the 2013 Worlds? Step 3. Click on ‘Race’ in the game menu and select your World Championship event. This is a great opportunity to go wheel to wheel with some of the best in the world, and see how you measure up. I did a post on VRC Pro back in August after I tried it out and it didn’t take long before I noticed an improvement in my racing. I don’t think I am the next World Champion, but this does sound like serious fun.